The Madison area's many community centers are on the front lines helping young people get a head start on life. The Kids Fund assists many of them each year with grants that support after-school and summer vacation academic programs, hands-on lessons in gardening and food nutrition, and adventures in nature. Among the centers supported this past year were the Bridge Lakepoint Waunona Neighborhood Center, Elver Park Neighborhood Center, Kennedy Heights Community Center, Lussier Community Education Center, Theresa Terrace Neighborhood Center, East Madison Community Center, McFarland Youth Center, Neighborhood House Community Center and Vera Court Neighborhood Center. Grants to these neighborhood centers were made possible by the generosity of readers of The Capital Times who support the Kids Fund's annual drive. 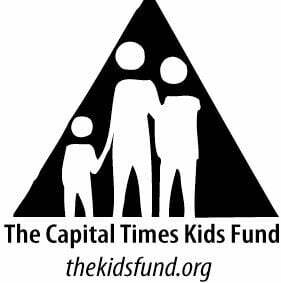 You can help by making a donation of any amount to The Kids Fund, c/o The Capital Times, PO Box 8060, Madison WI 53708 or by going online to thekidsfund.org and making a donation with your credit card.